1. Slab foundations consist of a concrete pad which your log home is then built on top of. They will keep the underneath of your house warmer (no chance of a through draught) and may protect your pipes from the frost more but it also means if you have a problem with plumbing there is no external access to the crawl space under the house-you will have to have a hatch in the floor. They are also easy and quick to create, causing fewer headaches for your builder! 2. Strip foundations consist of a strip of concrete in a trench under all the load bearing walls. They will also prevent cold air from getting under your house but have the same access problems as slab foundations. They will not use as much concrete as a slab foundation but still a significant amount. 3. Pillar foundations consist of a number of concrete pads with block work built up on each pad to a specified level. The log home is then built on top of these. Pillars are better for sloping sites, cheaper (using up to 70% less concrete), more environmentally friendly and allow easy access to the underside of your house. As the log cabin will be resting on pillars instead of the ground, more materials are needed: Main floor beams, floor filling boards and battens for the floor filling boards. Once you have received planning permission and a building warrant we can order your log home kit. Manufacture usually takes six weeks, and delivery normally takes a week to ten days. Download the Tunturi Brochure below. Download the Eurohome Brochure below. Prices are for 95mm wide logs. Larger logs up to 240mm wide are an option. 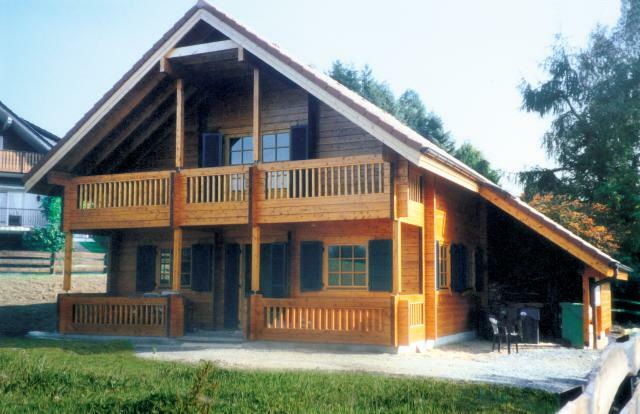 Mountain Lodge Homes is the supplier of high quality, strong and durable log home kits from Artichouse of Finland; designed to withstand the rigours of the British climate and to last for generations. Please see our supplier's website artichouse.fi for more house design ideas.